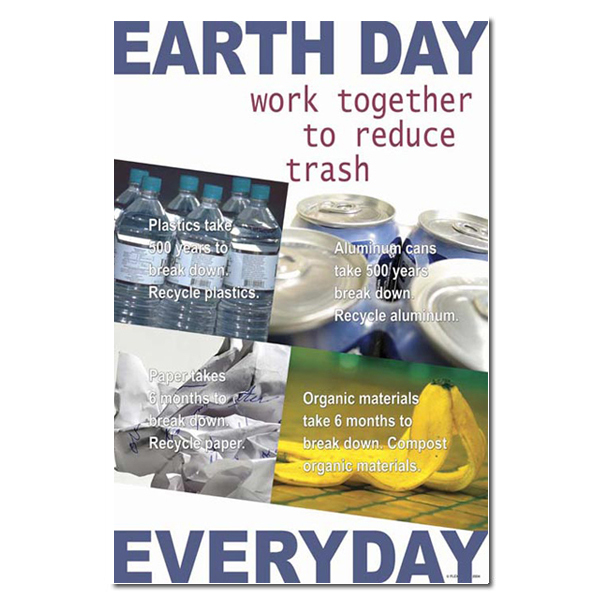 Theme: A collage of ways that we can make earth day every day. 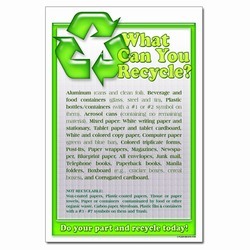 You see items that can be recycled such as organic materials, aluminum, plastic and paper. 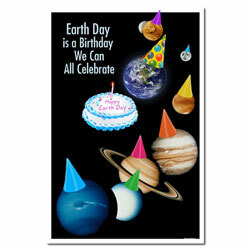 Message: "Earth Day Every Day. 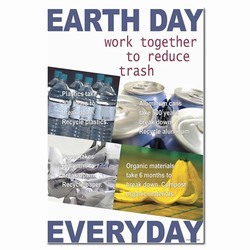 Work together to reduce trash. Plastics take 500 years to break down. 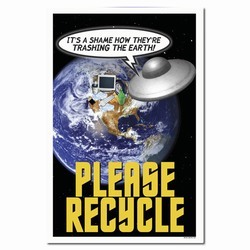 Recycle plastics. Aluminum cans take 500 years to break down. Recycle aluminum. Paper takes 6 months to break down. 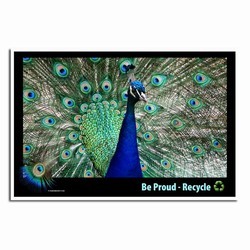 Recycle paper. Organic materials take 6 months to break down. Compost organic materials."